Wikipedia founder Jimmy Wales is launching a crowd-funded news service to help combat fake news. The internet entrepreneur has created Wikitribune, a news initiative which says it will see professional journalists and community contributors produce “fact-checked, global news stories”. The new site will be free to use, but also accept donations from monthly “supporters” who will then be able to suggest topics to be covered - while the site also says it will publish full transcripts of interviews where possible as part of transparency plans. “Wikitribune is news by the people and for the people,” Mr Wales said. Prominent web news sources including Google and social media sites such as Facebook have been heavily criticised in recent months over the spread of fake news stories on their platforms. Both Google and Facebook have pledged to improve the tools that monitor for such content, but Mr Wales says Wikitribune will also try and lower the news media's reliance on advertising through its monthly supports programme. “The basic concept here is to have a community driven news platform, so very much like other Wiki communities like Wikipedia,” he told the Press Association. “And this will have a business model which is based on monthly supporters rather than advertising, so that it drives our incentive in a different direction. “We want to write things that people are passionate about enough that they want to pay for it. The entrepreneur said recent reports of subscription growth at the New York Times and The Guardian made him confident Wikitribune's model could work, where paying members will also be able to influence what the site covers. “For the people who are monthly supporters, they're going to have a say in the topics that we're covering, so for example if you are part of a community - a small town somewhere - if you can get together enough supporters then we can put a full-time reporter on that beat to cover whatever it is you're interested in,” Mr Wales said, adding this approach could be applied to both geographical or topical interests. 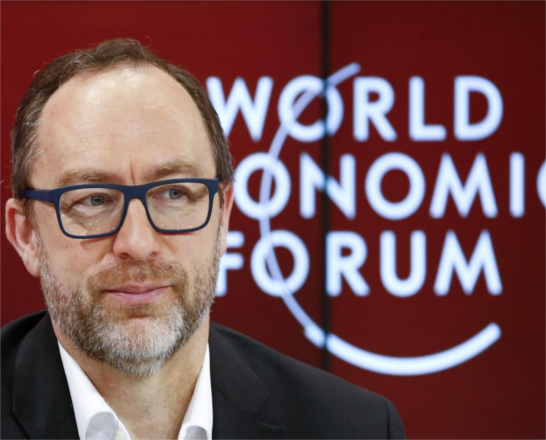 The Wikipedia founder said that in the early days of Wikitribune a more “traditional process” of editing and publishing will be followed by journalists on staff, but community members will also then be able to participate in the editing and publishing of stories. “In terms of publication, the publish authorisation could be given by a member of staff or a trusted community member. It's more a working together side-by-side approach,” he said.